Longyearbyen- The Arctic Settlement Where it’s Illegal to Die. Svalbard AW2018 – Part One. Choosing Norway, and in particular Svalbard for a photoshoot was no easy decision to make. Yes, we expected dramatic landscapes, rugged mountains, glaciers and lakes offering us the variety we needed to showcase technical Winter gear and yes, the area is rich for blog content, but little did we know what this place would open up to us. Longyearbyen sits on the Norwegian Archipelago of Svalbard and is the most northern residential settlement in the world, situated half way between the North Pole and continental Norway. 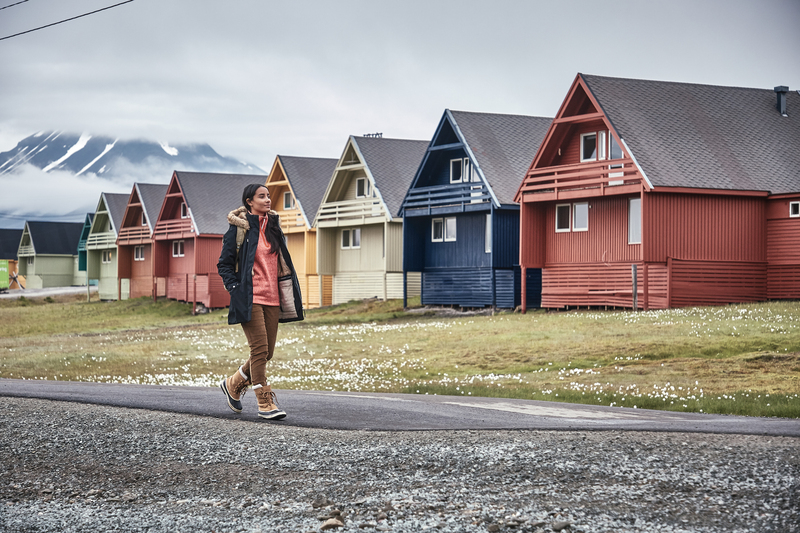 As the guidebooks say, Svalbard is as close as most can get to the North Pole and still capture its spirit. Home to more polar bears than people and due to the high risk of polar bear attacks, it’s forbidden to leave secluded Longyearbyen without a gun (or guide with a gun). This gave us the opportunity to meet some of the most knowledgeable guides around who were only too happy able to share their experience of the area. Furthermore, the constant permafrost in the ground means that nothing can decompose properly in the extreme temperatures – so much so, it’s illegal to die and be buried there. Snowmobiles are the most common modes of transport, to navigate the wild and variable terrain. A motorised ‘snow scooter’ is the fastest way to travel – a 15 minute journey on a snow scooter is the equivalent of a 2 hour journey by dog sled. But dog sledding is far more exhilarating and was perfect to put our gear to the test! The remote arctic town is both beautiful and unforgiving. During the winter months, the fjords completely freeze over and sunlight is limited to non-existent. From October to February, the town over 2,000 people live in total darkness. The locals call this complete darkness the ‘Polar Nights’. This meant that when we were there in July, the constant light was sometimes unnerving but we were able to explore late into the night without restrictions! Longyearbyen is home to some of the world’s most important work to protect our planet. The research carried out by the University Centre of Svalbard into plastic pollution is revered across the world and attracts researchers far and wide. We are delighted to be supporting the researchers of Sail against Plastics on their recent trip to Svalbard to investigate micro plastics and their ongoing work. 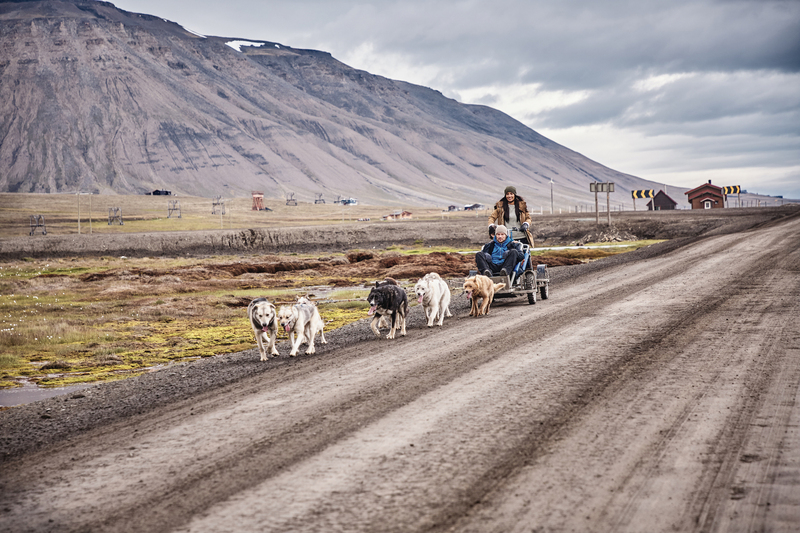 We’ll be documenting our journey, so you can read more about our travels and learn about the remarkable environmental work that takes place in Svalbard.